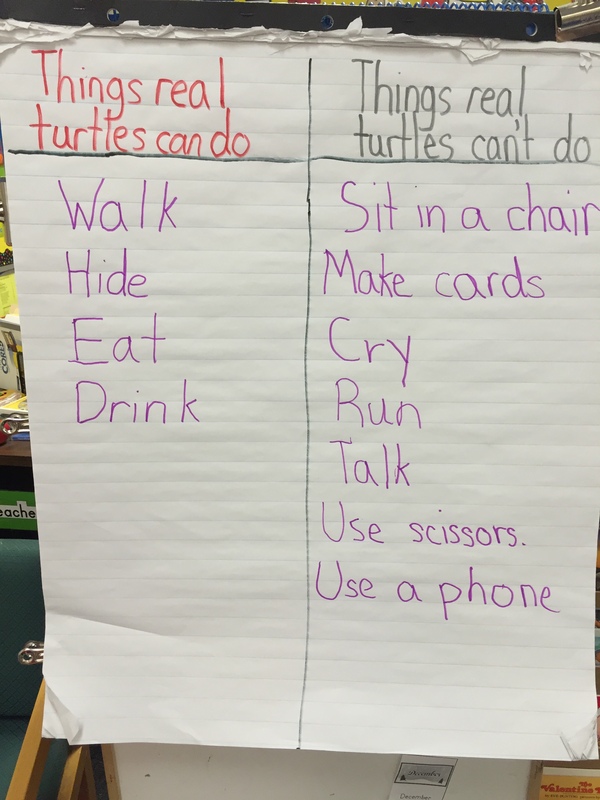 We have been learning about what makes a book fiction or non-fiction. 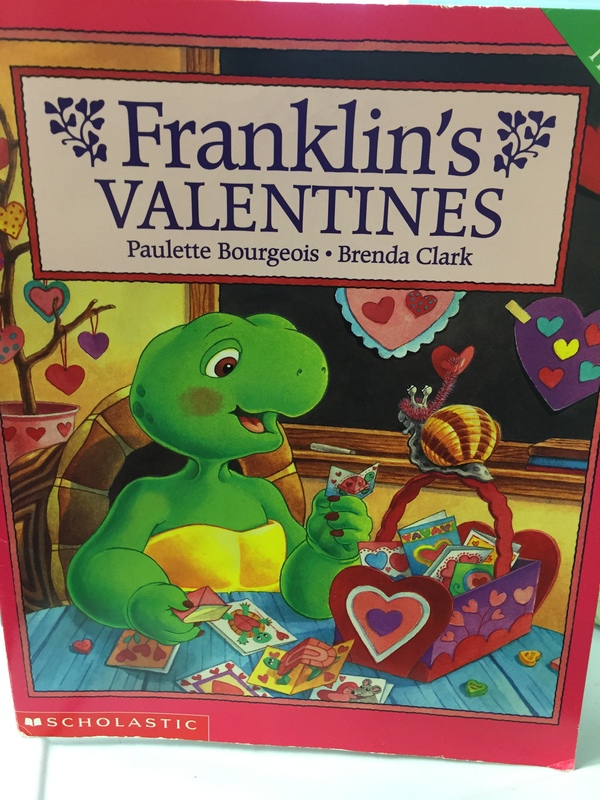 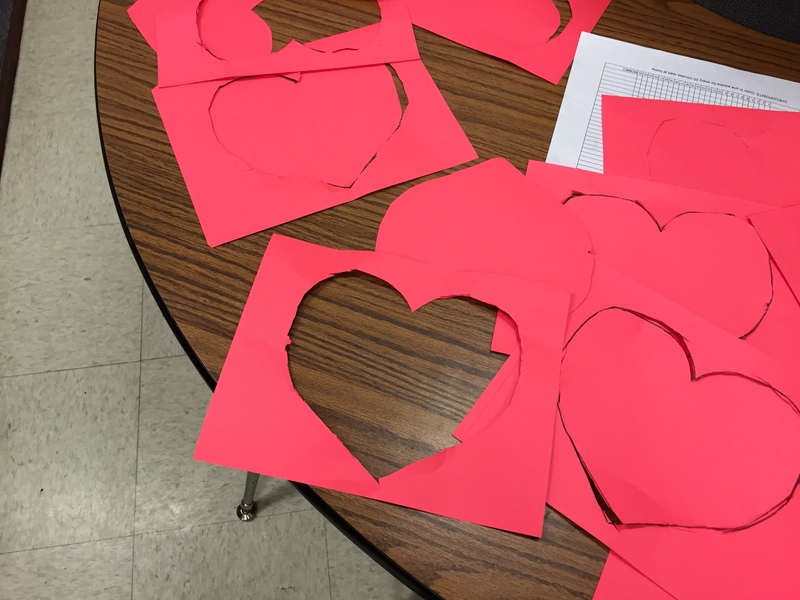 We read the story “Franklin’s Valentines”, and talked about things that a real turtle can do / things a turtle can’t do. 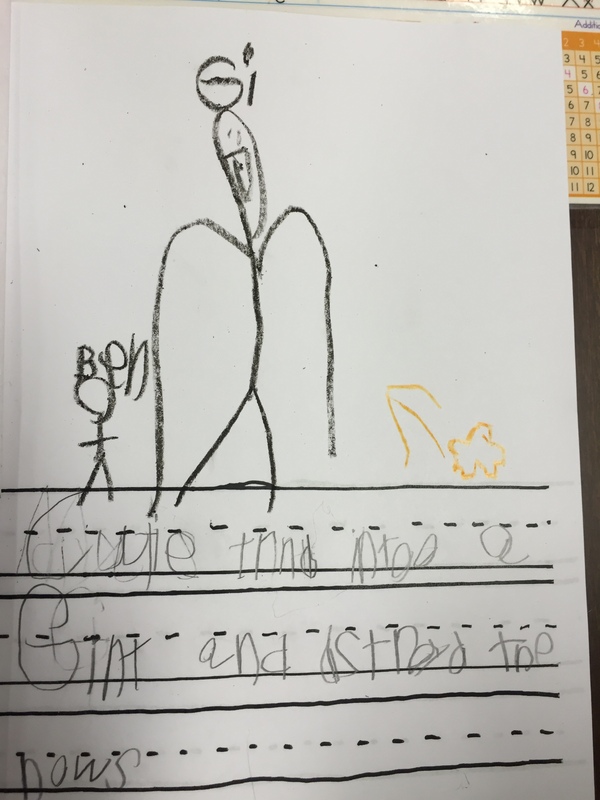 Then we wrote our own fiction story about an animal of our choice. 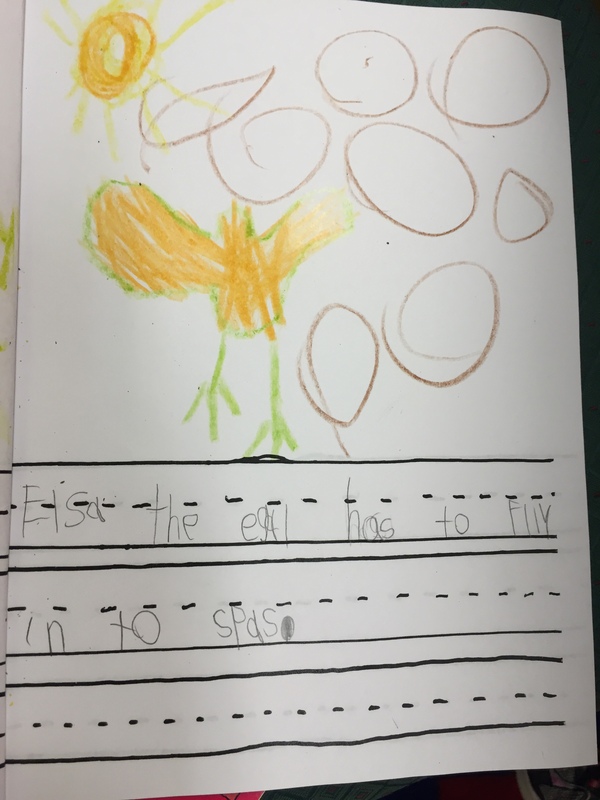 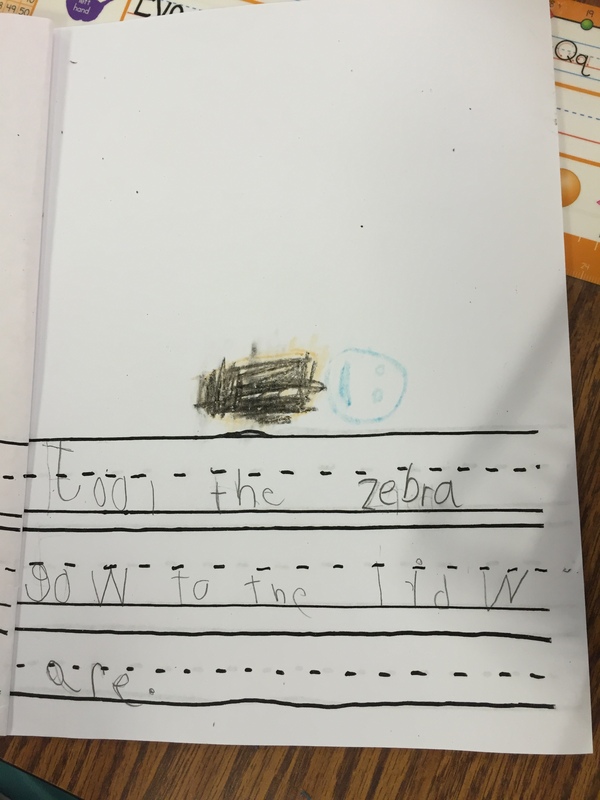 Students wrote stories “Elsa the eagle has to fly into space”, “Cutie turned into a giant and destroyed the house”, and “Jodi the zebra goes to the library”. 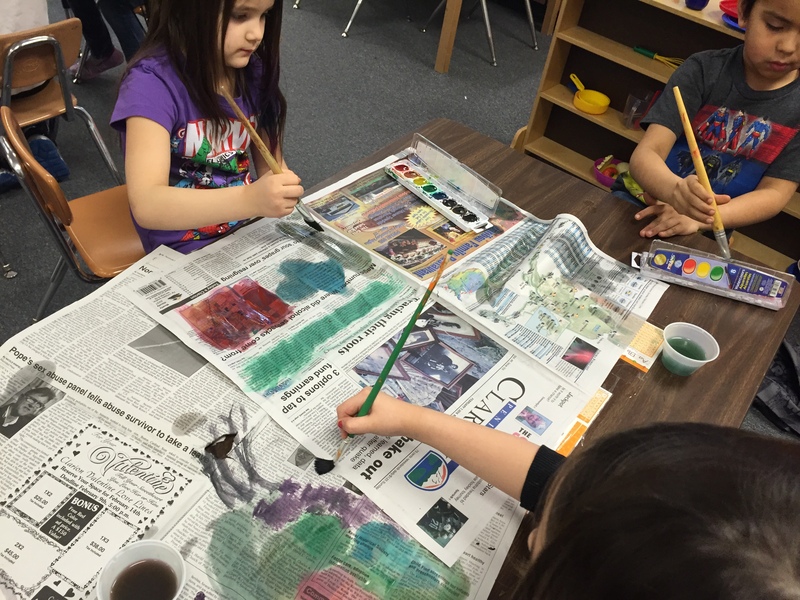 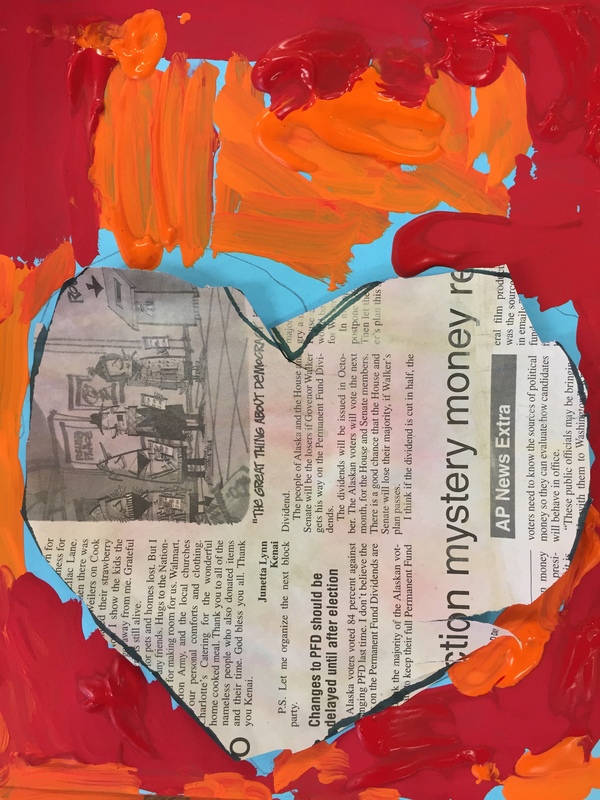 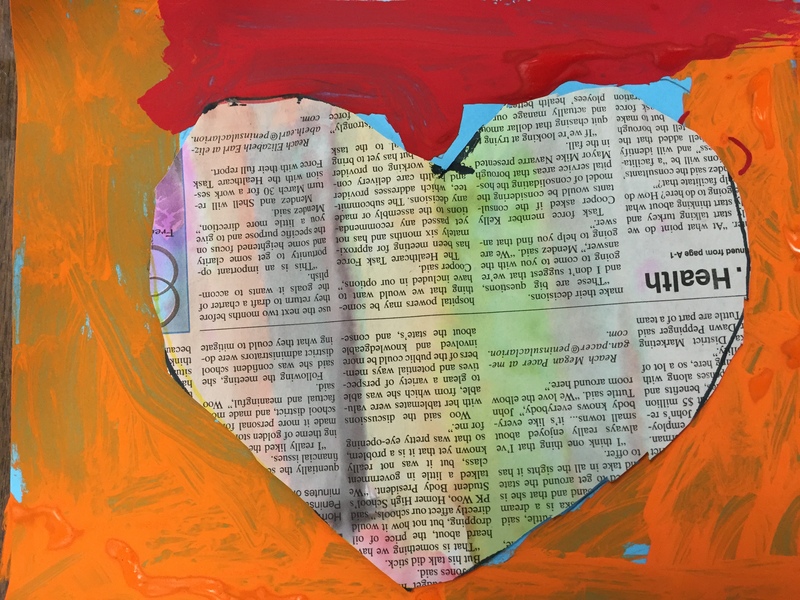 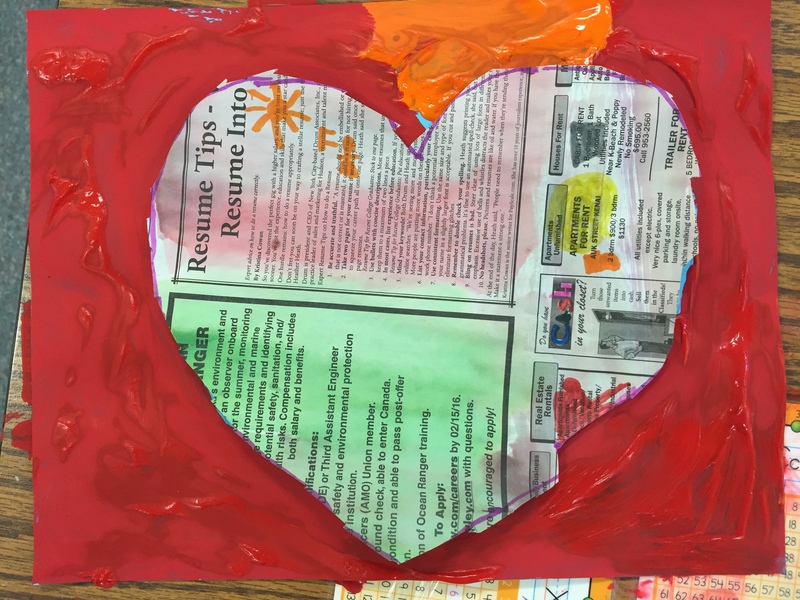 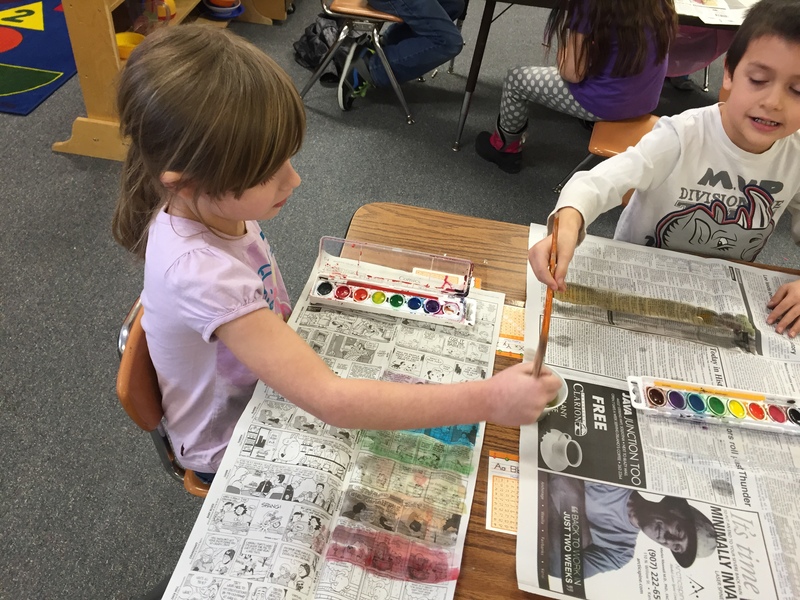 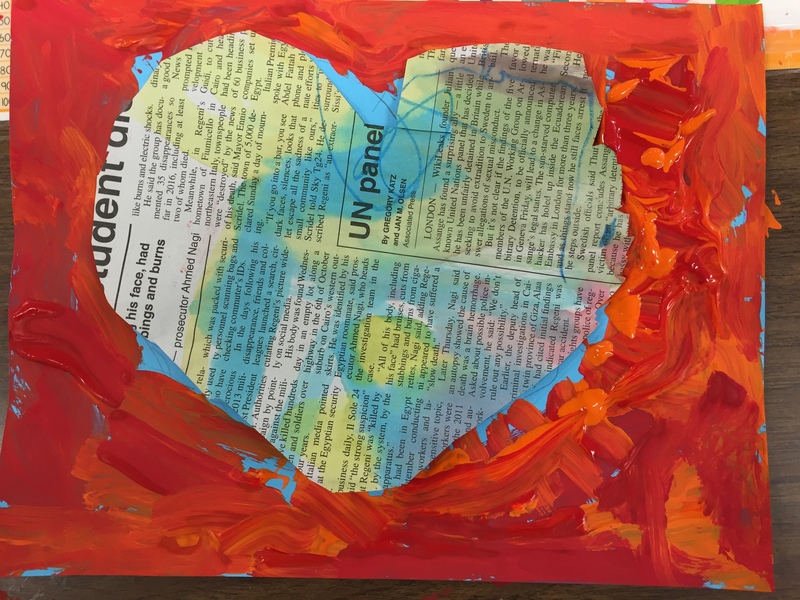 Finally students made newspaper hearts with watercolor.